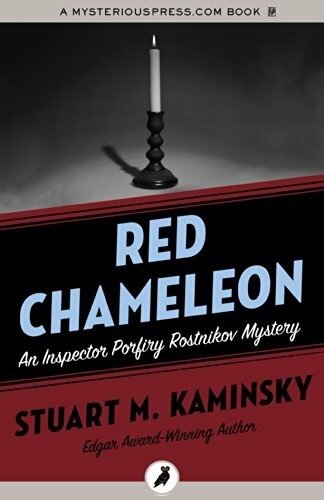 To salvage his career, Rostnikov takes on a baffling bathroom murder. After a lifetime in service to the Soviet Union, police inspector Porfiry Rostnikov may have found a way out. A high-profile homicide leads him to a cache of documents packed full of incriminating Kremlin gossip, which he uses as a bargaining chip to secure exit visas for himself and his wife. But just before the deal closes, Brezhnev's death sends the nation into turmoil, and dooms Rostnikov's escape. His career derailed, the veteran cop is reduced to investigating penny-ante murders -- the latest of which may lead somewhere very big indeed. An elderly Jewish man has been shot to death in his bathtub, an incomprehensible killing committed in sight of his two children. And as a brutal Moscow summer wears on, the police themselves become outright targets for car thieves and snipers. With the help of his two faithful lieutenants, Karpo and Tkach, the limping detective will need to find a way to solve these cases and salvage his good name -- if it doesn't cost him his life.